Looking across the city centre from Eger Castle. This spa town in northern Hungary boasts a history so rich and storied that a simple blog entry couldn’t hope to do more than scratch the surface. Eger has been the seat of bishops and nobility, the Ottoman Empire’s furthest point north and where vastly outnumbered Hungarian troops successfully repelled Turkish invaders in 1552. Eger is where you will find Europe’s northernmost Turkish style minaret and can immerse yourself in a genuine Turkish bath and expose yourself to the healing properties of radon in its water. The town also has a long history of high quality wine production and a clutch of wine cellars in one of the suburbs which is well worth a visit. 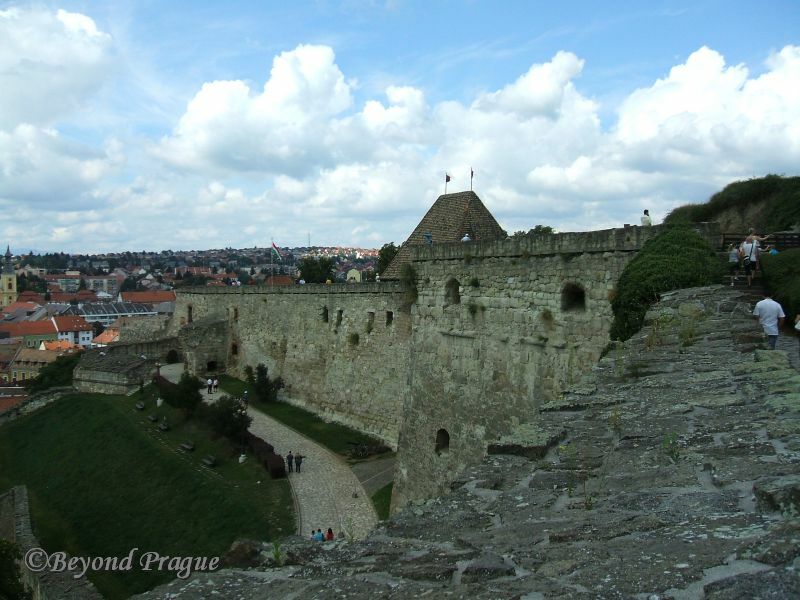 A view along Eger Castle wall. While human settlement in the Eger area can be traced back to the Stone Age, the present city was founded in the 10th century. Initially, the town had a cathedral at its heart; the remains of which can be seen when visiting the city’s castle. Eger has seen a number of invasions through its history, including a Mongol attack in 1241 in which much of the city was burned and looted; however, the city began to recover quickly almost as soon as the Mongols left. It was in the wake of the Mongol attack that the first fortress was built in Eger. The Turks besieged Eger twice in the 1500s. First in 1552 when they were successfully repelled by a much smaller number of Hungarian defenders led by István Dobó. The city’s main square is named after dobó and there is a statue marking his successful driving off of the Turks. 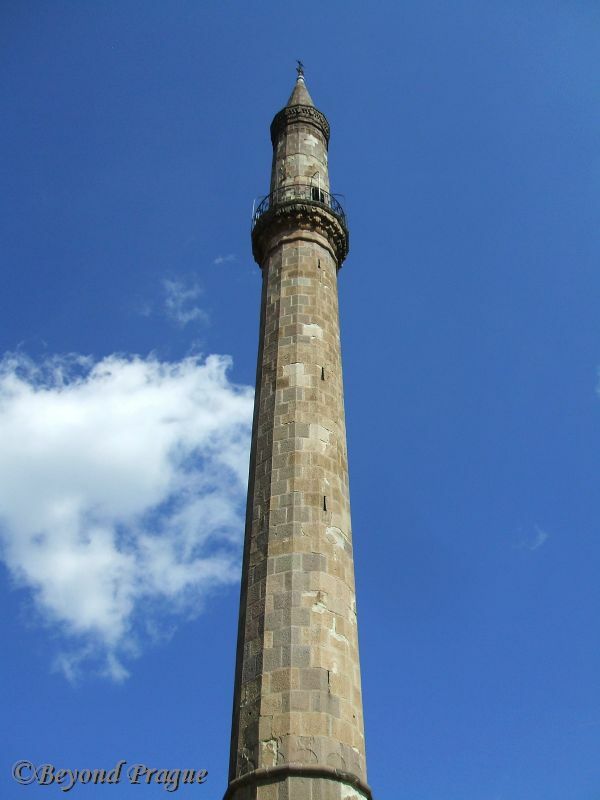 Eger’s famous minaret, a remnant of Turkish rule. In spite of Dobó’s heroism and victory, Eger was surrendered to the Turks in a later siege in 1596; the city remained under Turkish rule for approximately 90 years after that. Turkish rule saw many churches converted to mosques as well as minarets and public baths constructed. Eger is famous for retaining a minaret and functional Turkish bath from that period. After Eger was liberated from the Turks in the late 1600s, its history progressed along similar lines to other European countries: warfare, disease and disasters all came through Eger multiple times as they had in many other places. In 1932, it was permitted to open spas. In spite of being occupied by German and subsequently Soviet forces in the Second World War, the city managed to avoid any heavy bombardments in the conflict. 1968 saw the city’s centre declared a preservation zone. One of a group of seven wellness pools available to visitors. 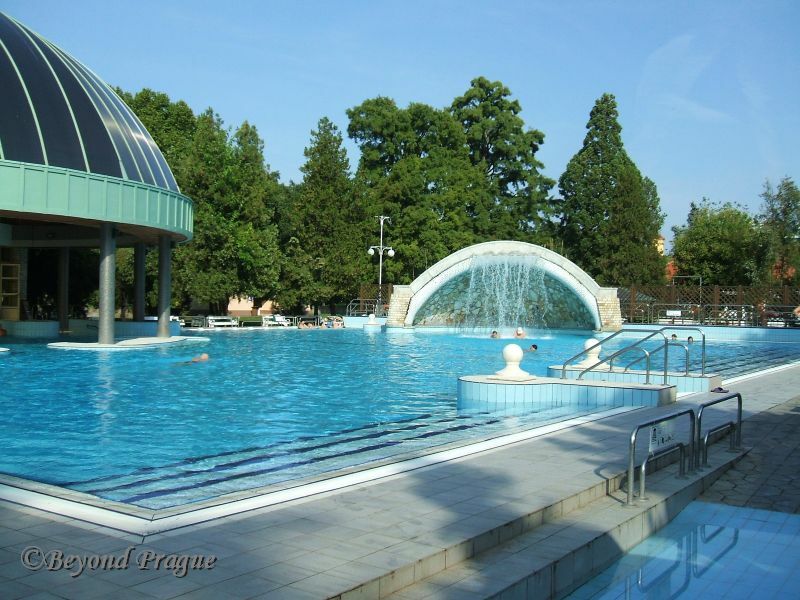 In a modern sense, the spas and wellness facilities are by far the main reason to visit Eger. 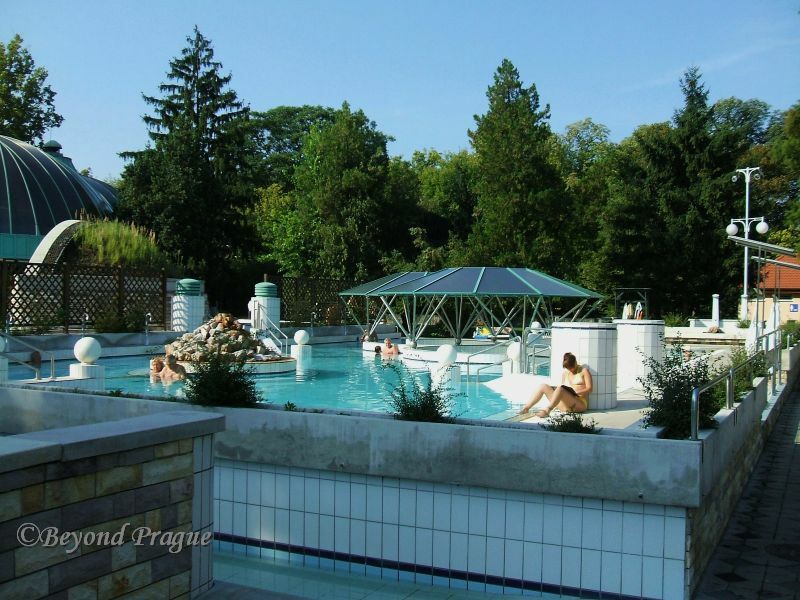 A fixture of the city since the 1930s, the thermal spas at Eger are considered some of the best in Hungary and attract many international visitors. The thermal spas at Eger contain trace amounts of radon which is said to have anti-inflammatory qualities and can increase endorphin production. In addition to the radon spas, there is also a pool with sulfur content. Other wellness facilities, such as massage are also readily available to the visitor. 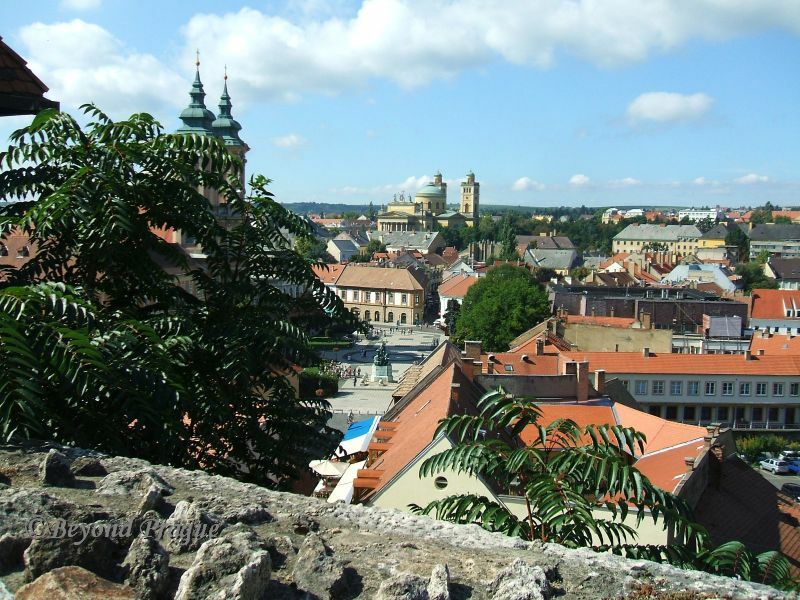 You’ll certainly not leave Eger in any sort of stressed state. Eger is not all history and spas, viticulture and wine production have been strong parts of the city’s image since the 11th and 12th centuries and several varieties of wine are produced here. 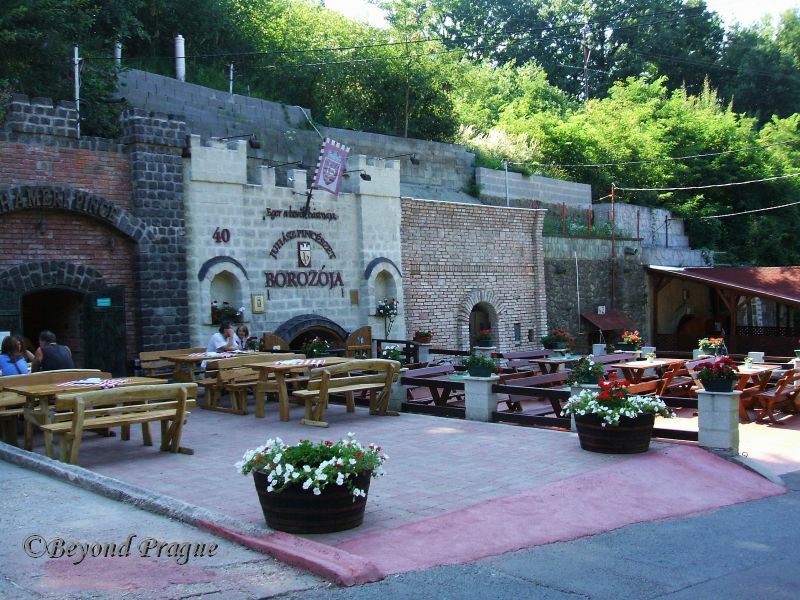 It would be as much a shame to visit Eger and not enjoy the wine as it would be to visit and not enjoy the spas. On the western edge of the city you’ll find an area known as the Valley of the Beautiful Woman. This area houses a selection of local wine cellars which you can easily explore on foot to sample their wares. Sulfur pool at the thermal spa. By my own observations during my visit to Eger; if you do not speak Hungarian, then German is far and away the second language of choice here. This really should not come as a surprise as the thermal spas attract many visitors from nearby Austria. I would recommend a minimum of three days to visiting Eger, a full week would be optimum if you can manage it. Budapest is easy enough to get to by rail from several points outside of Hungary and there is regular train and bus service between Budapest and Eger.